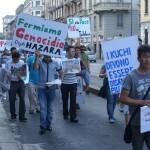 Hazara People:The Italian Hazaras, in a rally in Milan condemned the Kochi Taliban attacks on Nahur, Behsood and Daimirdad, Hazara’s systematic genocide in Afghanistan and Pakistan, and Karzai’s discriminative action against Hazara MPs in the parliament of Afghanistan. 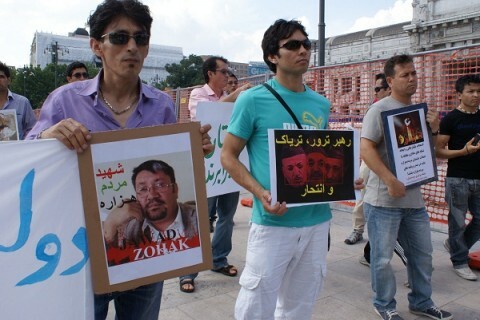 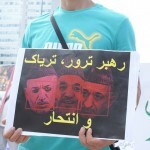 They also condemned Jawad Zuhak’s assassination and asked the government to find and trail Zuhak’s murderers. 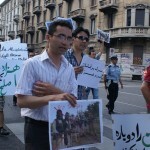 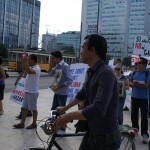 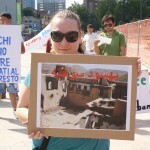 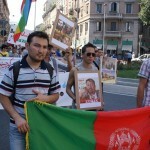 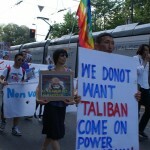 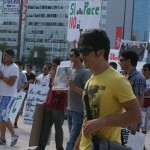 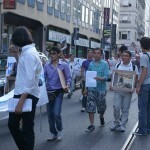 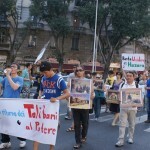 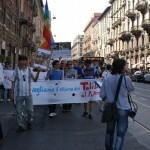 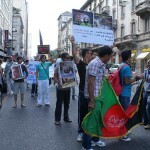 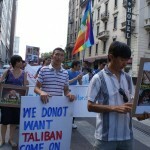 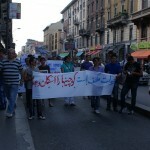 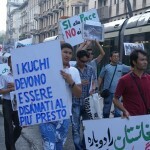 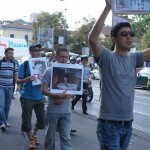 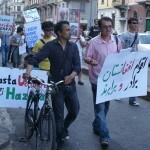 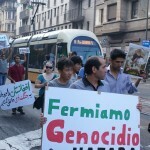 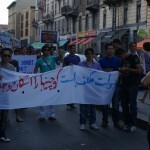 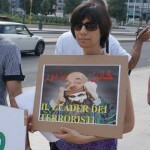 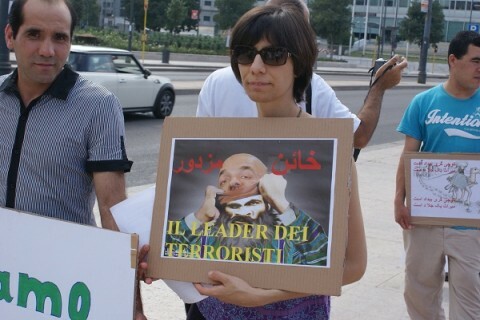 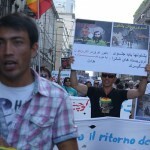 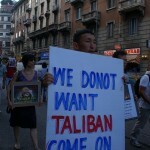 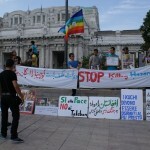 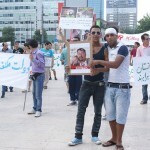 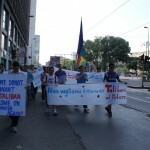 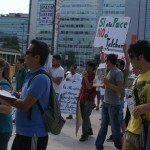 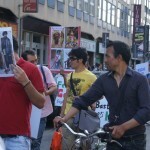 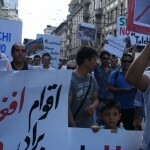 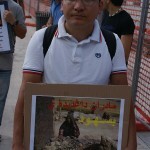 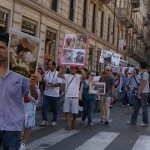 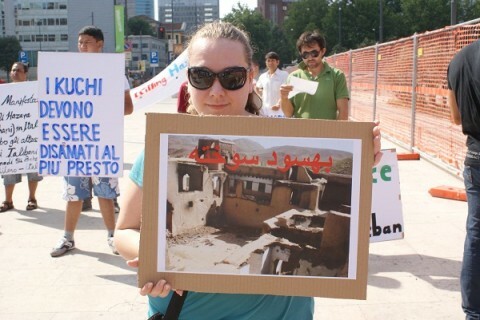 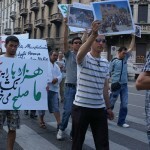 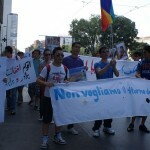 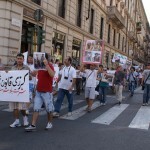 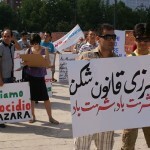 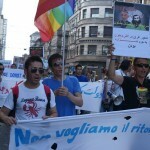 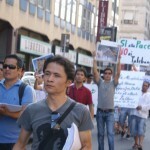 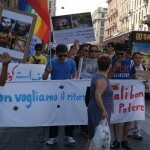 Tens of Hazara demonstrators along with other ethnic members and Italian citizens gathered in Milan on Saturday July 9th and marched in the center of Milan to raise their voices for peace and justice in Afghanistan. 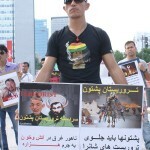 Escorted by the police, the demonstrators carried banners, placards and posters while shouting the slogans against Terrorism and Talibanism in Afghanistan. 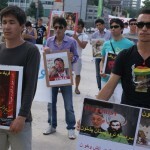 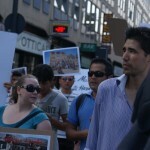 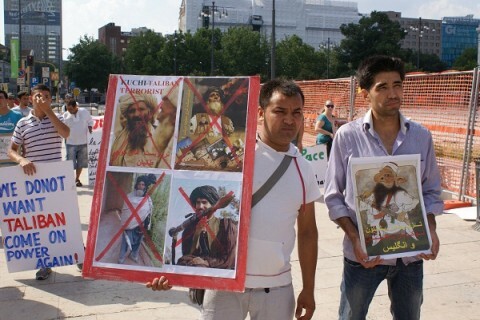 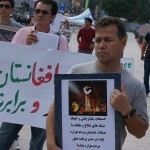 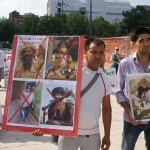 The demonstrators in this rally emphasized on eradication of fundamentalism in Afghanistan by any possible means. 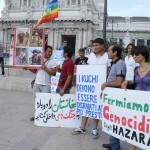 They warned about occurrence of another civil war if president Karzai continues supporting the ethnic cleansing process. 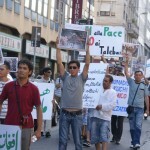 In this long rally, the members of Italian Anti Racism Committees were also present and spoke on the importance of such rallies to overcome racism and discrimination in Afghanistan. 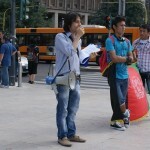 The rally began at 16:00 on the main square of Milan Central Station and finished at 19:00 on Leonardo Da Vinci Square near Polytechnic of Milan with a ten article resolution, below are three of the articles. 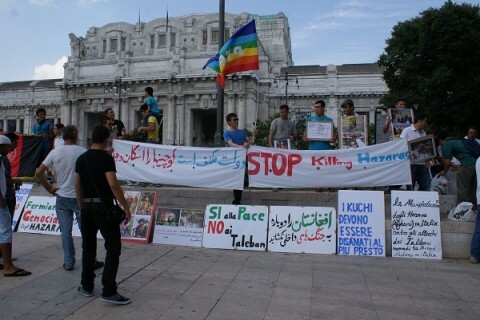 1-	We demonstrate to condemn brutal attacks of the Kochi (Nomad) Taliban on the areas of Hazaras in Nahur of Ghazni Province, and Behsud of Maidan Province that have killed many people and have forced thousands flee their homes. 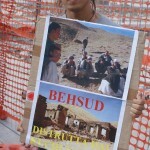 They burnt the houses and looted people’s properties while the Afghan government is not only silent but it is also supporting the Kochis (Nomad Taliban) in this act of crime against humanity, thus we consider the Afghan Government supporter of the fundamentalism, racism and terrorism in Afghanistan. 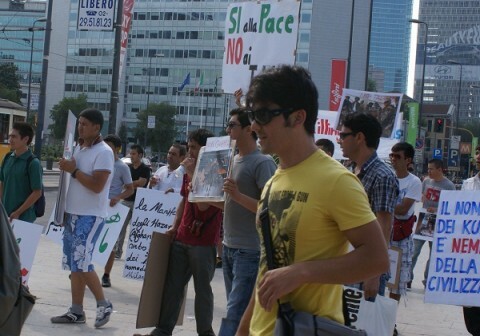 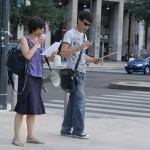 We demonstrate to show our objection on these bloody attacks. 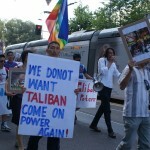 2-	The Taliban are the most fundamentalist and dangerous group in Afghanistan, and are against any kind of democracy and human values and civil rights, while the Afghan Government is now brining them back on power because of their ethnicity. 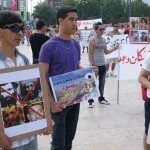 Through our demonstration we would like to protest against and condemn the conciliation with the Taliban, because if they come back on power, they would eradicate all achievements of the last ten years and Afghanistan will once again become a prison for women and ethnic minorities. 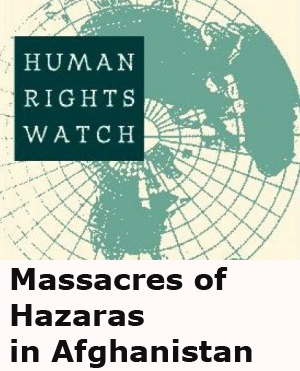 3-	Recently the racist government of Karzai has removed dozens of Hazara MPs from the parliament through an illegal process to boycott the Hazara Society. 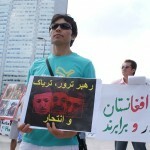 The Hazaras are considered the most democrat and open minded group of people in Afghanistan. 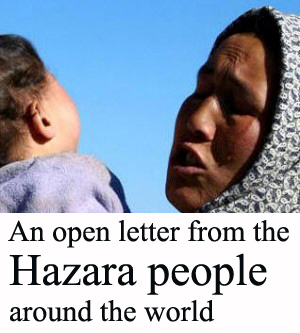 The Hazara society has had a major role in different elections of last ten years in Afghanistan with a remarkable participation of women that is why the fundamentalists in Karzai government do not want their presence in the Afghan parliament. 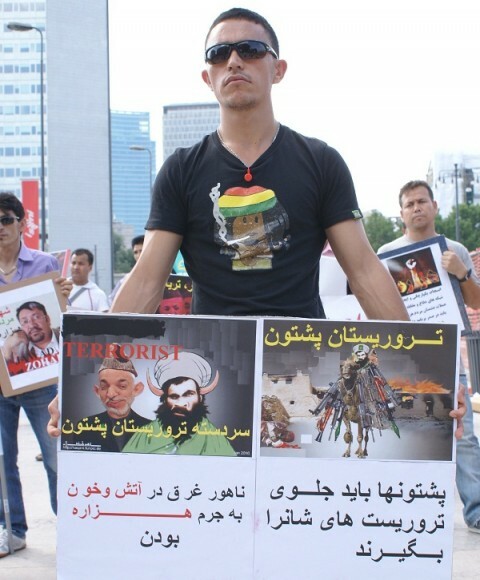 We would like to condemn this act of racism that has weakened the fragile democracy process in Afghanistan and is going to empower the fundamentalism. 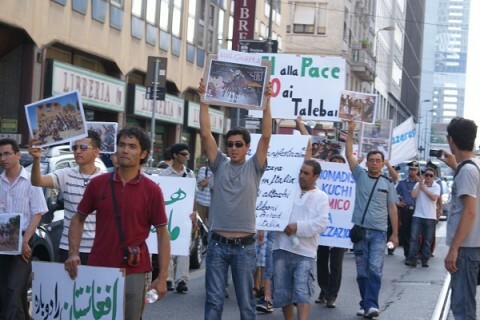 Most of the demonstrators were the young Hazaras who had suffered oppressions and discriminations in Afghanistan; as a result they had arrived in Italy seeking for asylum. 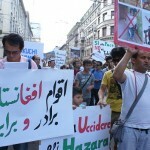 The major part of the refugees from Afghanistan in Italy belongs to the Hazara ethnic. 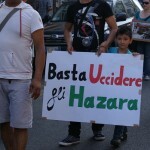 The Hazaras are a new community in Italy and are not yet well known to the Italian society. 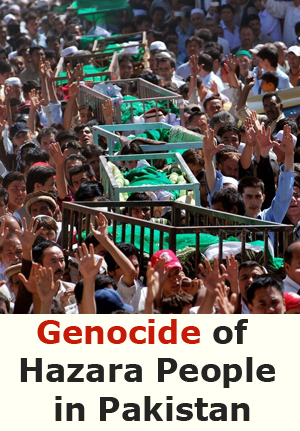 Having Mongolian features, the Hazaras are one of the most dispersed ethnics of Afghanistan. 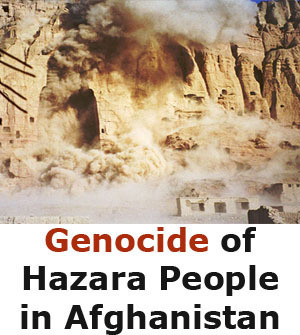 As the European Jews of WWII period, the Hazaras have faced mass- massacres in different periods in Afghanistan thus they are found in any corner of the world seeking for asylum and sanctuary after their systematic genocide. 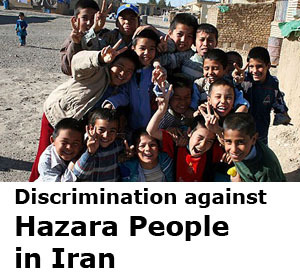 The Hazaras believe, enjoying democracy in their new sanctuaries, they would use the right they did not have in their own country because of racism and discrimination, threats and fear of prosecution. 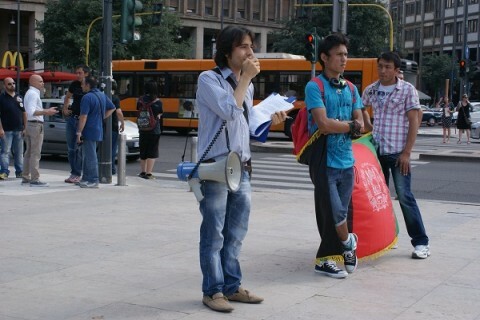 Being out of Afghanistan, they would use the chance to express themselves, they can reflect their views about current affairs of their country freely, without any fear of death threat or prosecution. 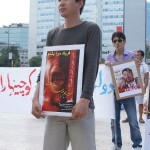 The Hazaras are trying to make a strong influential power in Diaspora that could affect the major changes for democratizing of Afghanistan one day. 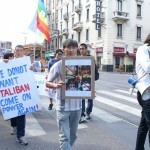 Why not helping to Hazaras the Mongolian and Turkish people? 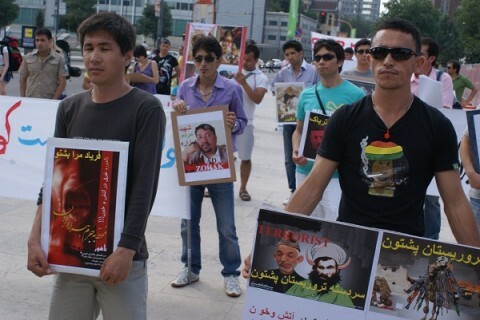 aftakhar darom ba shomo bachai hazara ka hamish az hazara bodan kho dafah monin……. 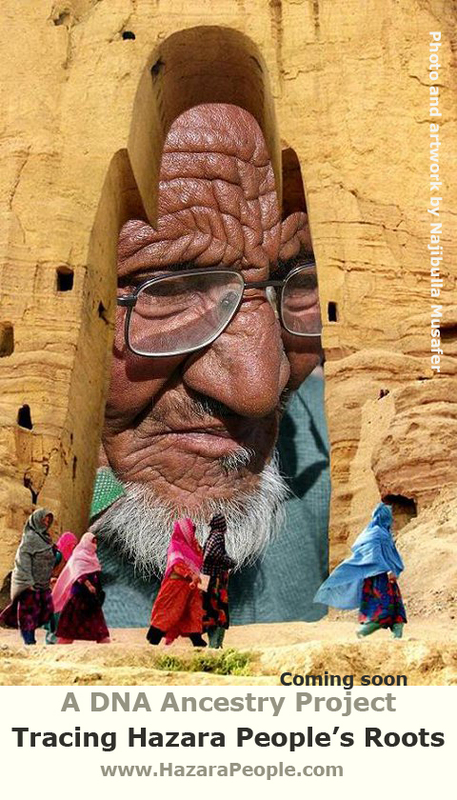 Well, I clicked Like Option many times but it doesn’t come on my wall on facebook. 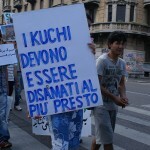 I think like me many others have done the same thing but here we do not see on our walls. 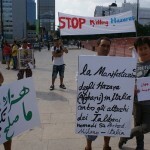 long live Italian Hazaras! 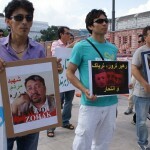 i appreciate all Qawma around the world raise their voices against the injustice of Afghan society.